Although this position appeared in a Reinfeld book, it may nowadays be regarded as ‘unknown’. On pages 187-188 of How to Play Chess Like a Champion (New York, 1956) Reinfeld referred to ‘a very beautiful series of attacking moves in a game between two amateurs’, whom he named as Gestaldi and Guisti. 5...b3!! 6 Ra3 Rc2!! 7 White resigns. The complete game (1 d4 d5 2 c4 c6 3 Nf3 Nf6 4 Nc3 dxc4 5 a4 Bf5 6 Ne5 e6 7 f3 Bb4 8 e4 Bxe4 9 fxe4 Nxe4 10 Bd2 Qxd4 11 Nxe4 Qxe4+ 12 Qe2 Bxd2+ 13 Kxd2 Qd5+ 14 Kc2 O-O 15 Nxc4 b5 16 Ne3 Qc5+ 17 Kb1 Nd7 18 g3 Nb6 19 axb5 cxb5 20 Bg2 Rab8 21 Rc1 Qe5 22 Rxa7 Nc4 23 Re1 Qd4 24 Ra6 Nd2+ 25 Ka2 Qb6 26 Ra3 b4 27 Ra4 Qd4 28 Ka1 Rfc8 29 Rd1 b3 30 Ra3 Rc2 31 White resigns) is in the occasional database, listed as having been played in the 1955 Italian championship. However, no such event took place. From page 347 of Storia degli Scacchi in Italia by A. Chicco and A. Rosino (Venice, 1990): ‘La federazione nel 1955 non riuscì ad organizzare il campionato italiano ...’ The same book (page 430) mentions that Angelo Giusti (not ‘Guisti’) won the seventh Italian correspondence championship (1953-55), whereas the victor in the eighth such event, in which Giusti also participated, was Vincenzo Castaldi. About any player named ‘Gestaldi’ we know nothing, but page 422 of the Chicco/Rosino book gives the results of a 1933-34 correspondence tournament in which Gastaldi of Novara and Giusti of Lucca finished third and fifth respectively. Which chess writer wrote an openings monograph with the title ‘Roy Lopez’ on the front cover? Occasional C.N. 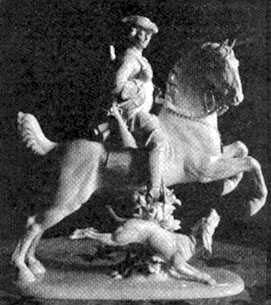 items refer to chess figures who have penned non-chess books, and one of the most successful nowadays is William Hartston, with several works on general ‘trivia’. 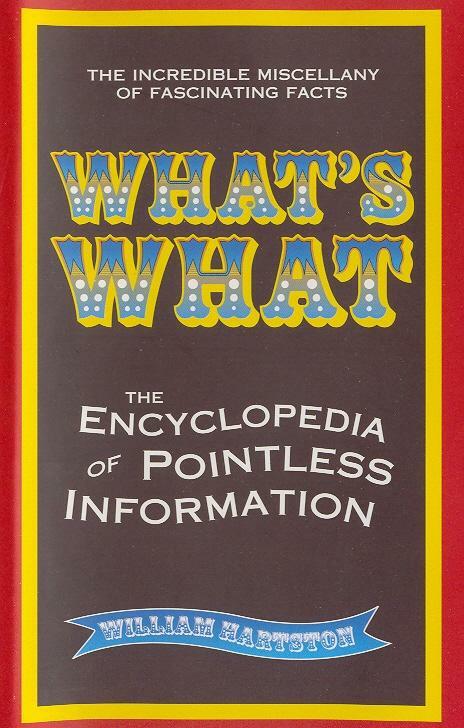 The best of all, in our view, is his 2005 volume What’s What (subtitle: ‘The Encyclopedia of Pointless Information’). Chess has a brief entry, but elsewhere we learned that ‘one ounce of cress boiled down will produce enough cyanide to kill two mice’; that ‘forty is the only number which, when spelled out in English, has its letters in alphabetical order’; that ‘when [George I of England, who did not speak English,] needed to communicate with his prime minister, Robert Walpole, they spoke Latin’; that ‘there are no reptiles, amphibians or poisonous animals in Iceland’; that ‘Paraguay is the only country with a national flag that is not the same on both sides’; that ‘all polar bears are left-handed’; and that ‘in 1812 ... February had 30 days in Sweden’. Regarding Persinger (and David Oistrakh) see page 129 of A Chess Omnibus. C.N. 3722 reproduced Persinger’s extensive inscription in one of our copies of The Golden Treasury of Chess by Francis J. Wellmuth, and here we add that on the first page of the Index of Players Persinger wrote ‘I’ve played against – ’ and then added ticks alongside these names in the index: W. Adams, Alekhine, Battell, S. Bernstein, Borochow, Capablanca, Chernev, Dake, Denker, Donovan, Fine, Fish, Fonaroff, Fulop, Grabill, Hanauer, Helms, Hidalgo, Horowitz, Kashdan, Koltanowski, Korpanty, Ed. 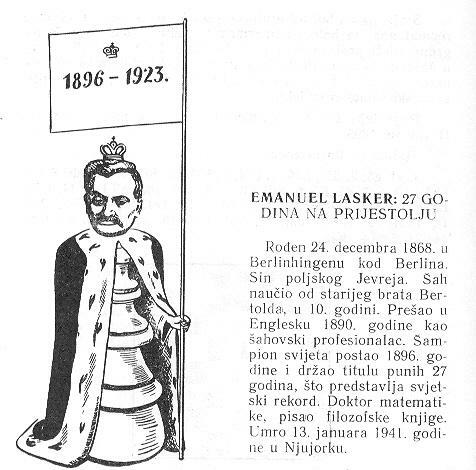 Lasker, Em. 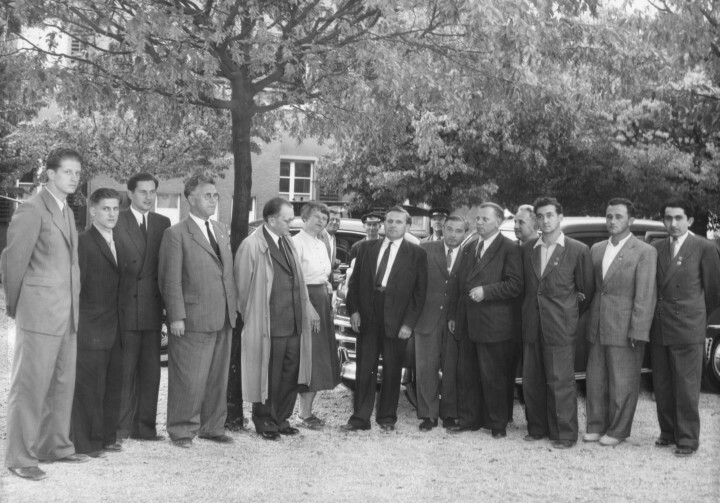 Lasker, Marshall, Platz, Polland, Reinfeld, Reshevsky, H. Steiner, Tenner, Testa, Ulvestad and Woskoff. ‘Nearly every one of the world’s leading violinists has been a chessplayer, and indeed, a majority of violinists of any note at all. Chess historians and bibliophiles have to reconnoitre not only the majestic boulevards but also the squalid backstreets. 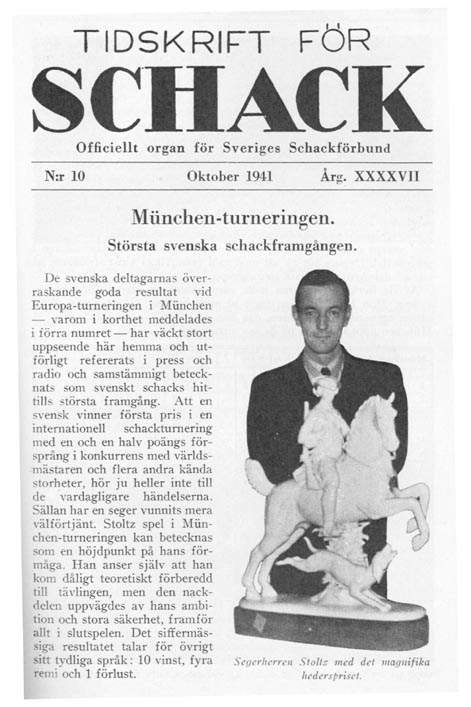 Two feature articles recently added to our Archives illustrate this stark contrast: an appreciation of one of the best-researched chess books ever published and an exposé of an outlandish publishing scandal. Standing on the left: P. Leepin. 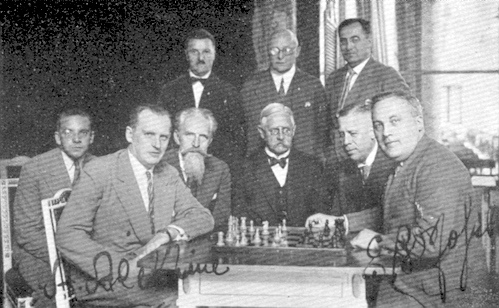 Seated around the table: G. Kieninger, K. Richter, A. Alekhine, P. Réthy, B. Nielsen, E. Bogoljubow, G. Füster. Seated behind: N. Cortlever, K. Opočenský, E. Lundin. 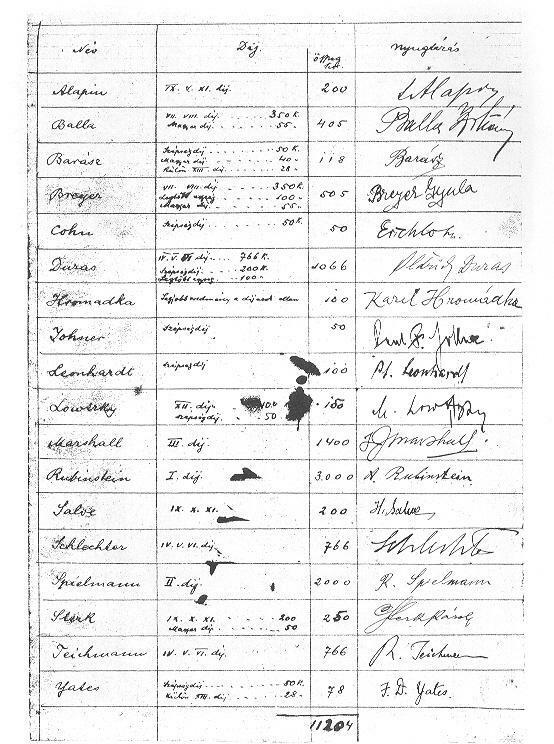 Standing: I. Roháček, J. Foltys, P. Mross, B. Rabar, G. Stoltz. C.N. 2202 (see page 15 of A Chess Omnibus) gave this position, which one modern source labelled ‘Ahues v Hans Müller, Berlin, 1920’. 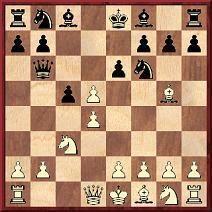 After White’s 1 Qxf6 Black resigned, whereas he could have won with 1...Qg4. Our inability to find the position in any 1920s source was mentioned in C.N. 2202, but now we note that it was given, courtesy of the Deutsche Schachblätter, on page 111 of the Schweizerische Schachzeitung, July 1923. The heading was vague: ‘Aus einer von Meister Ahues vor Jahren gespielten Partie’. 24 Rxd6 Rxd6 25 Bxe5 Rd2 26 Qxd2 Qxe5 27 Qd7 Rf8 28 Qd4 Qxd4 29 Rxd4 e5 30 Rd5 fxe4 31 fxe4 Rc8 32 c5 bxc5 33 Rxc5 Rxc5 34 bxc5 Kf7 35 Kf3 Ke6 36 Kg4 Resigns. ‘Throughout his whole career Gösta had a hard life and he suffered illness as well as financial worries. He was forced to pawn his three Swedish Championship plaques at a pawn-shop in the Stockholm Old City. The same shop also obtained the prize from the European Championship tournament, a half-metre-high piece of great value, made of silver and marble [emphasis added here]. ‘Where is the trophy today?’, asks Mr Erlandsson. A little quiz question: who was the first world chess champion to become involved in efforts to include chess in the Olympic Games? The author of the openings monograph with the title ‘Roy Lopez’ on the front cover was Fred Reinfeld. 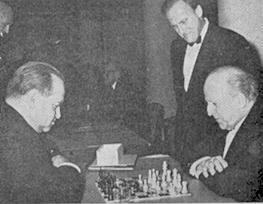 It was lesson XV in his series A Course in the Elements of Modern Chess Strategy (New York, 1936 and 1938). 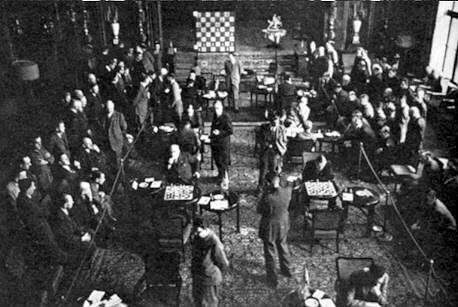 Alekhine annotated his brilliancy against Bogoljubow (Hastings, 21 September 1922) in such publications as the tournament book, the November 1922 La Stratégie and his first Best Games volume. No two sets of notes were identical. On pages 44-46 of the March 1923 Schweizerische Schachzeitung the game was given with the heading ‘D’après les commentaires de M. Aljechin dans la Nation Belge’. Can a reader provide those annotations, to enable us to see whether they too were different? In an impulsive burst of munificence we offer a book prize to the first reader who sends us the four-letter English word made up of the initials of the forenames and surnames of the two players pictured below. It is likely to mean defeat for many. Luc Winants (Welkenraedt, Belgium) and Leonard Skinner (Cowbridge, Wales) provide Alekhine’s notes in La Nation Belge, 16 November 1922. In some respects they differ from all the other sets of annotations by Alekhine mentioned in C.N. 3925. 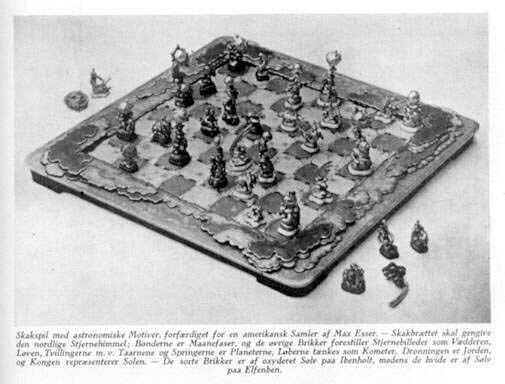 What more is known about Eads’ interest in chess? 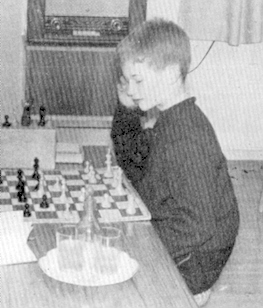 Is reliable documentation available about any involvement with chess by General Tom Thumb – i.e. Charles Sherwood Stratton (1838-1883). 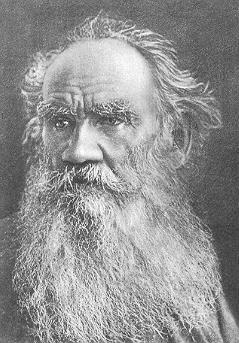 The only nineteenth-century reference we currently have to hand is on page 216 of Brevity and Brilliancy in Chess by Miron J. Hazeltine (New York, 1866), which gave the game 1 e4 e5 2 Nf3 Nc6 3 d4 exd4 4 Bc4 Nf6 5 Ng5 d5 6 exd5 Nxd5 7 Nxf7 Kxf7 8 Qf3+ Kg8 and ‘White announces mate in three moves’. 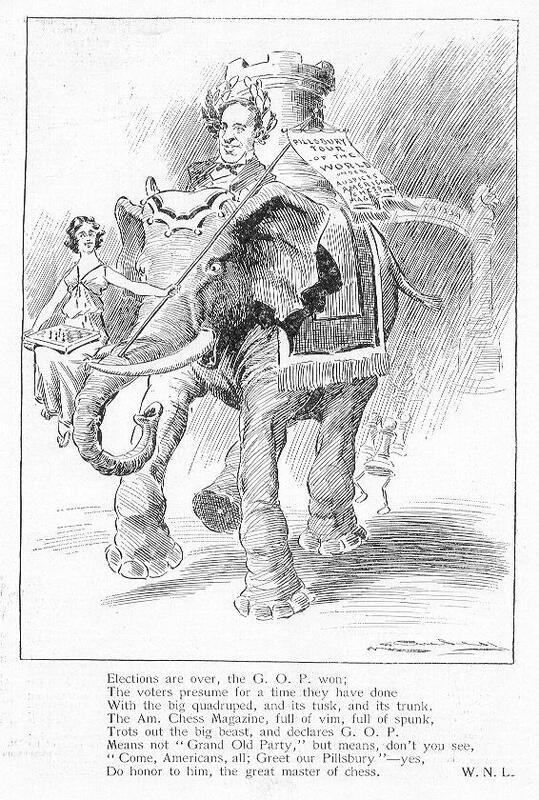 The heading was ‘A Mate by General Tom Thumb (At least S. Loyd says it was. 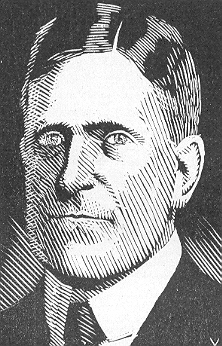 )’, and Loyd was named as the General’s victim. Where had Loyd, or anyone else, published the game beforehand? ‘In Pal Benko My Life, Games and Compositions by Benko and Jeremy Silman (Los Angeles, 2003) Silman interviews various chess personalities who knew (and know) Benko, and Benko himself. Many of the answers deal with unverifiable private matters, but some make claims about specific chess events which it may be possible to verify or disprove. Page 414: Ronald Gross about Bent Larsen: “Larsen... spoke 13 languages fluently”. Is this intended literally? If so, which languages? Is there independent evidence of this? ‘In this game too the time-limit was vital. In fact it was the subject of the first claim that required the director’s decision. 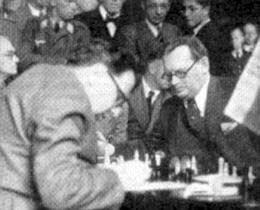 Reshevsky obtained a clear advantage in the opening. 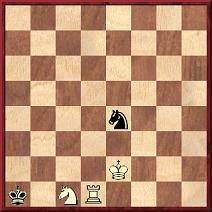 His queen and rooks marched in on the queen side, where he commenced an attack against the vulnerable black pawns. 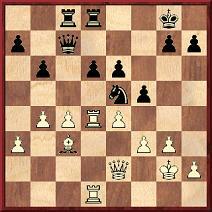 Benko found what seemed a neat resource, giving up a pawn to trap Reshevsky’s rook. 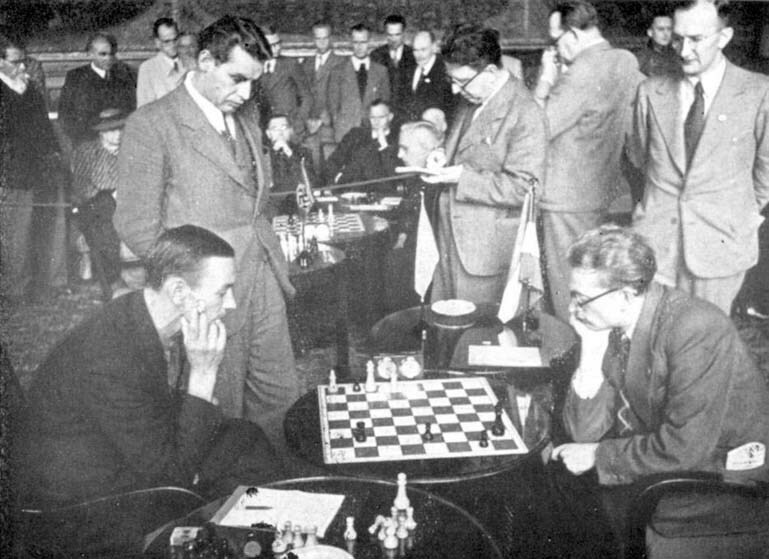 Reshevsky took a long look, walked into the situation, and after repeating moves a couple of times, gave up the rook for Benko’s bishop. 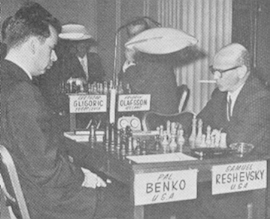 In a few moves Reshevsky justified the sacrifice when he captured two of Benko’s pawns in succession, giving him material superiority for the first time. But all this took time, and he had only seconds left. 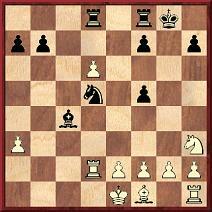 Reshevsky made his 40th move, with the flag on his clock on the brink, but still in the up position. 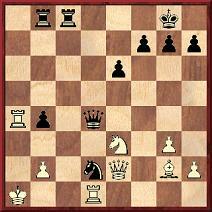 Benko moved immediately, pressed the lever, and Reshevsky’s flag dropped. He promptly claimed the game on a time forfeit. 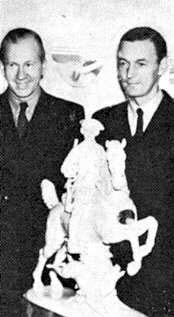 Assistant directors Harry Borochow and Jack Moskowitz were on top of the play and agreed that Reshevsky was safe. Actually, if Benko wished to make a claim, he should have done so before making his own 40th move. The rules state clearly that a player cannot make any claim unless he is on the move. 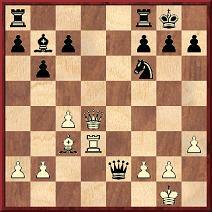 A later discussion indicated that Benko had miscounted the moves and thought that only 39 had been made by both players. McCullough gives no specific source for this information, but instead says he took “the general biographical background” from the Dictionary of American Biography and three other books: Florence L. Dorsey’s Road to the Sea (1947), Joseph Gies’ Bridges and Men (1963) and C.M. Woodward’s A History of the St. Louis Bridge (1881). 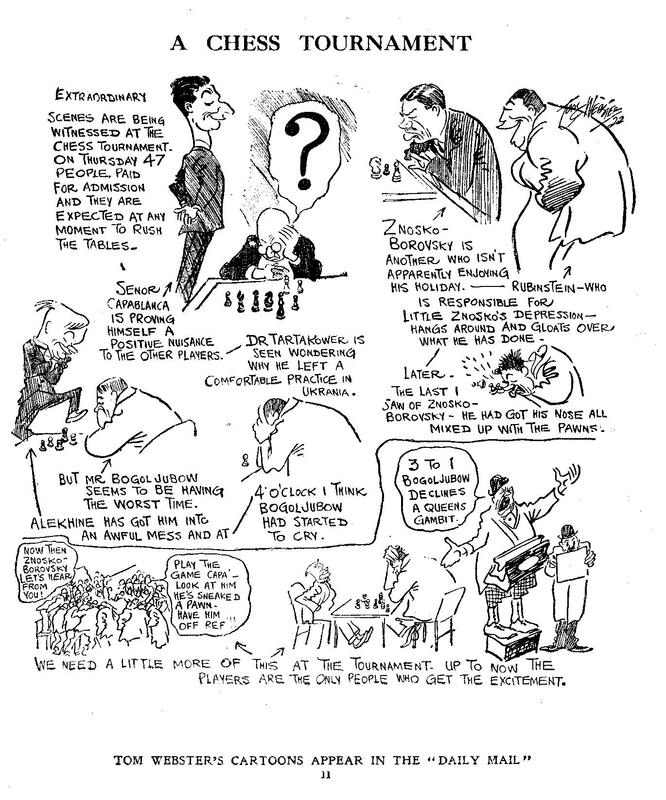 From Eric Fisher (Hull, England) come three cartoons marking the London, 1922 tournament. They were published on pages 11-13 of Tom Webster’s Annual 1922 (London, 1922). 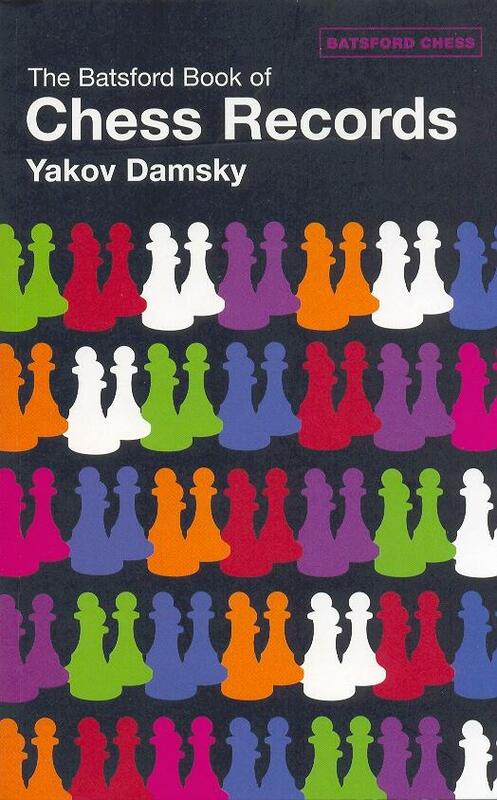 Some reviewers may extend a warm welcome to The Batsford Book of Chess Records by Y. Damsky (London, 2005), given that it looks detailed (303 pages), covers a wide range of topics (by treating the term ‘record’ very broadly) and is obviously in a higher league than most of Batsford’s output (usually threadbare, generally careless and frequently dishonest) from the 1980s and 1990s. It will, though, be surprising if Damsky’s book is treated favourably or indulgently by discerning critics. Its first defect is obvious enough: poor structure and organization (only four parts/chapters), exacerbated by inadequate indexing. Secondly, the author provides ‘information’ without, in most cases, giving any indication as to its provenance. Thirdly, he demonstrates insufficient knowledge of chess lore to tackle what would have been, even for a fine writer, a demanding project. A few illustrative examples follow. A game on page 39 is headed ‘Marshall – N.N., New York, 1940’; this is the famous occurrence of 14 consecutive pawn moves in the opening and early middle-game. 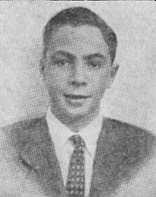 When the game (played in the Marshall Chess Club Championship) was published on page 45 of the March-April 1940 American Chess Bulletin, Black’s name was given: Rogosin. The name also appeared on pages 230-231 of Marshall’s autobiographical games collection. How can it be unknown to Damsky? 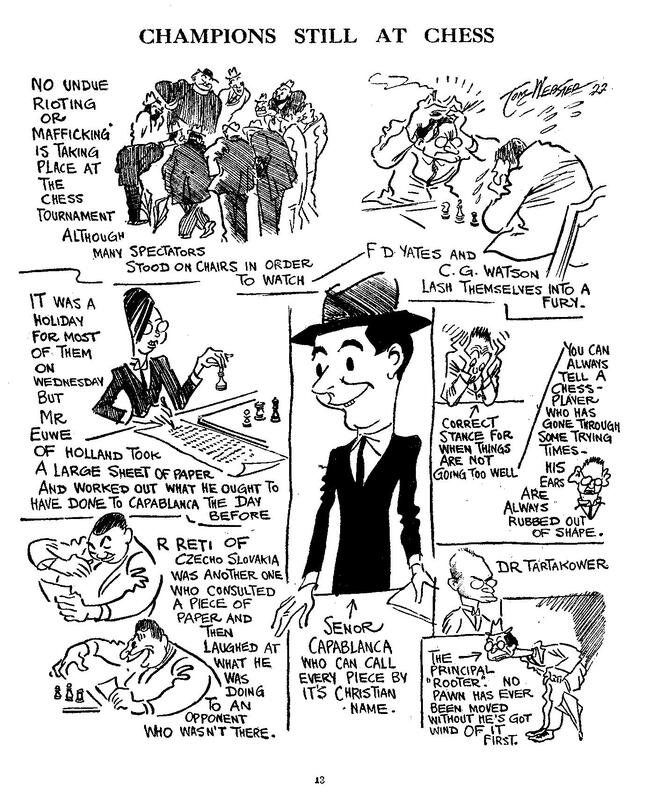 And (regarding pages 130-131) how can he not know, after everything written on the subject, that Lasker and Janowsky played only one world championship match? 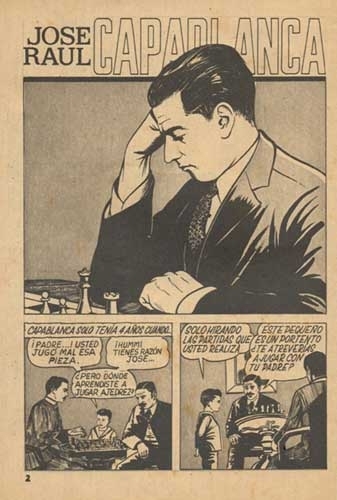 On pages 273-274 he relates the Capablanca chess/billiards yarn, unaware that the whole thing was a hoax (see Chess Explorations, pages 179-182). Unfortunately this book established two additional records. One of them is for the number factual [sic] errors – they run into hundreds. 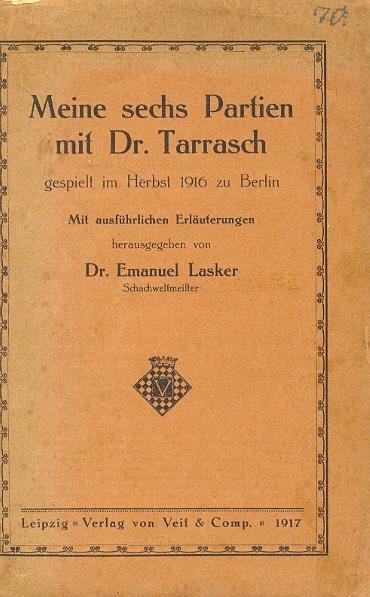 The other is for a unanimous decision by the chief editors of all three Russian chess periodicals [Roshal, Kentler and Barsky are named by Damsky]: they refused to publish reviews of it, in which these failings would naturally not have been passed over in silence ... Their ostensible reason for not reviewing the book was a noble wish to avoid offending I.M. 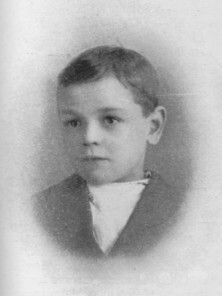 Linder who had already celebrated his 80-year jubilee. We have seen much shorter books than the Linders’ which contain hundreds of errors, and not least volumes from B.T. Batsford Ltd. For its part, The Batsford Book of Chess Records fails because at its best it makes only a small contribution to injecting order into the jumble of chess lore and because at its worst it adds to that disorder. C.N. 3922 asked who was the first world champion involved in the possible inclusion of chess in the Olympic Games. The episode, long since forgotten, is summarized below. 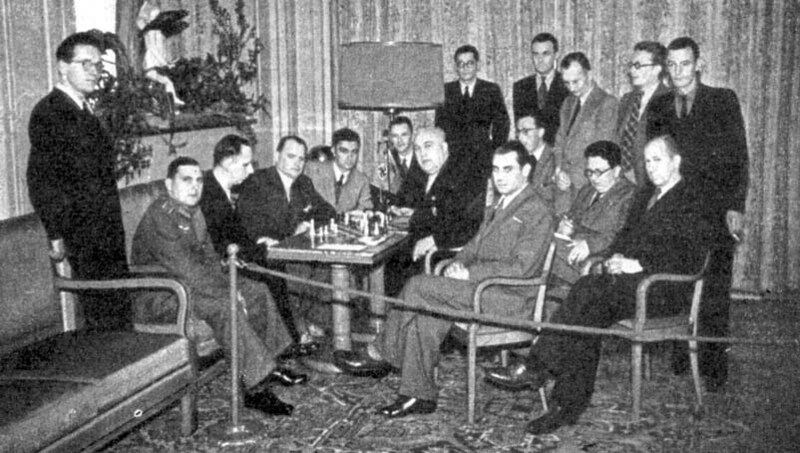 In his report to the 1929 session of the FIDE General Assembly in Venice, Alexander Rueb stated that he would explain orally a complaint by Mieses against Bogoljubow. The affair was decided by FIDE in favour of Mieses. This information appeared on pages 4 and 5 of the minutes of FIDE’s 1929 General Assembly, but the nature of Mieses’ grievance was not indicated. Does any reader know more about it? 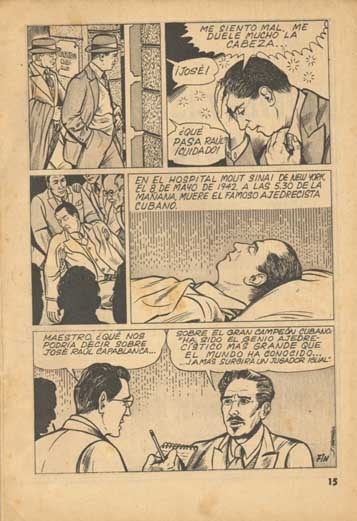 They are Oscar Panno and Heikki Westerinen, and the pictures came from, respectively, La Scacchiera, October 1953 (page 212) and the plates section of Heikki Westerinen Shakin Mestari by E. Havansi (Heinola, 1969). The four-letter word is thus whop. No correct answers were received, despite two clues: we wrote that ‘it is likely to mean defeat for many’ and we supplied, in the heading, three-quarters of the answer. The latest feature article to be posted concerns the mendacity of Eric Schiller. C.N. 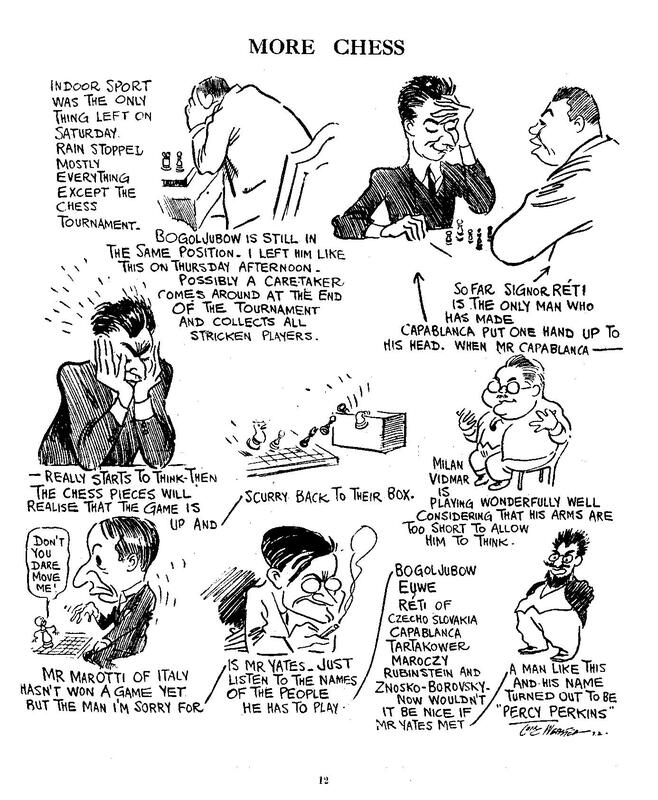 3856 drew attention to the gross historical inaccuracy of the list of title matches at the official website for the ‘FIDE world championship 2005’ in San Luis. We are now glad to see that, notably thanks to the efforts of our correspondent Christian Sánchez (Rosario, Argentina), most of the mistakes have been corrected. Whether many authorities would agree with the way the site chooses to list events of recent years is another question. 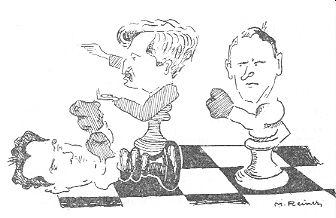 We offer here a woeful fact: the last contest which was indisputably for the world chess championship was nearly 15 years ago: Kasparov v Karpov in New York and Lyons. The score is taken from page 176 of The Compleat Draughts Player by Irving Chernev (Oxford, 1981). Chernev stated that Pillsbury’s win was ‘one of 12 games played simultaneously blindfold, and shows his extraordinary skill at piloting the draughtsmen’, but no other details regarding the occasion were provided. What more is known about the game, and are other specimens of Pillsbury’s prowess available? The gambit 1 d4 d5 2 c4 e6 3 Nc3 Nf6 4 Bg5 c5 5 cxd5 Qb6 is named variously after Canal, Venice and Peru, having been played by the Peruvian-born master Canal against Tartakower at the Venice tournament on 15 October 1948. 20 e4 Nb6 21 e5 Rfe8 22 f4 f6 23 Bxc4+ Nxc4 24 Re2 fxe5 25 fxe5 Nxe5 26 O-O Rxd6 27 Rfe1 Rde6 28 Nf4 R6e7 29 Kf1 Ng6 30 Ne6 Nf8 31 Nd4 Rxe2 32 Rxe2 Rxe2 33 Kxe2 f4 34 Nb5 a6 35 Nd6 b5 36 Kd3 Ne6 37 Ke4 Kf8 38 Ke5 Ke7 39 h4 Kd7 40 Ne4 Ke7 41 Nf6 a5 42 h5 Kf7 43 Nxh7 b4 44 axb4 a4 45 Ng5+ Nxg5 46 Kd4 Ne4 47 Kc4 Nd6+ 48 Kc5 a3 49 Kxd6 a2 50 White resigns. So was Savielly Tartakower himself the originator, in 1910, of the gambit which Canal sprang on him in Venice 38 years later? No. 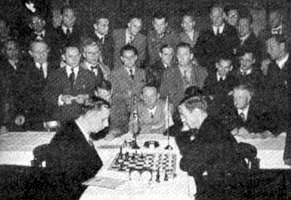 Mr Forster points out that the Hamburg game above was played in the Hauptturnier B, and that Black was not ‘the’ Tartakower but his brother Arthur. 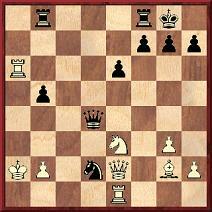 1 e4 e5 2 Nf3 Nc6 3 d4 exd4 4 Bc4 Be7 5 O-O d6 6 h3 Nf6 7 Nxd4 Nxd4 8 Qxd4 c5 9 Bb5+ Bd7 10 Bxd7+ Qxd7 11 Qd3 Rd8 12 Be3 O-O 13 Nc3 a6 14 Rad1 Qc6 15 Rfe1 h6 16 Bf4 Nh5 17 Nd5 Rfe8 18 Nxe7+ Rxe7 19 Be3 Red7 20 Qd2 Qxe4 21 Bxh6 gxh6 22 Rxe4 Kh7 23 Rde1 Nf6 24 Re7 d5 25 Qd3+ Kg7 26 Rxd7 Rxd7 27 Qg3+ Kh7 28 Qe5 Kg7 29 g4 Rd6 30 Qxd6 Resigns. 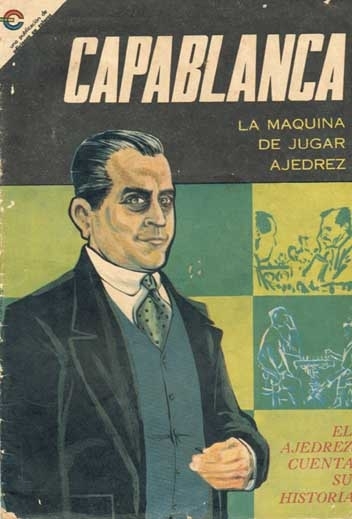 The game-score was subsequently published on pages 30-31 of Capablanca-Magazine, 15 May 1912, under the title ‘a nine-year-old champion’, and we gave it in C.N. 1171. That was nearly 20 years ago, and nothing further was learned about the boy. Now, however, Paul Lengden (Chorley, England) informs us that John Lengden was his uncle (being an elder brother of his father, Walter). It is recalled within the family that John Lengden died young, circa 1928-29, having suffered a cycle accident some two years previously. 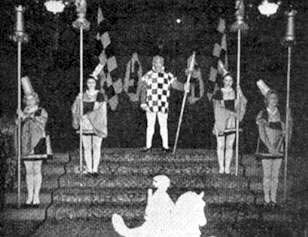 Moreover, Walter believes that John Lengden was chess champion of Oldham and District (Lancashire) in the early 1920s. Can any reader help build on these leads? 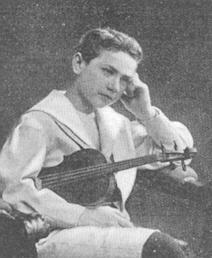 The name of the Hungarian player Zoltán Balla (1883-1945) is often rendered (in contemporary and modern sources, outside Hungary) as Zoltán von Balla. Are both forms correct? Readers may be interested to see a specimen of his signature, along with those of the 17 other participants in Pistyan, 1912. The illustration is reproduced from volume 3 of Magyar Sakktörténet by G. Barcza and A. Földeák (Budapest, 1989). What is the correlation between the pieces and figures listed below?